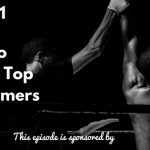 TSE 740: What Is TSE Hustler’s League? 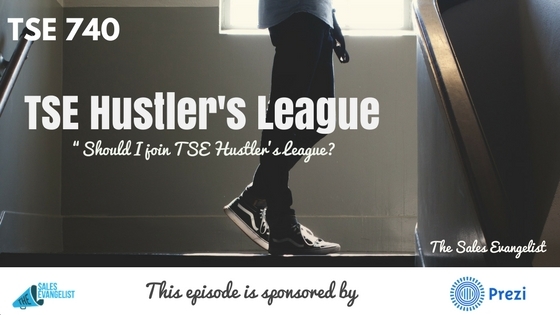 Home » TSE Podcast Post Page » TSE 740: What Is TSE Hustler’s League? 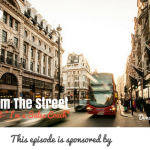 In this episode, I share with you some FAQs about the TSE Hustler’s League, an online coaching program for all types of sellers. Have an accountability partner and see yourself expanding your knowledge and getting the leads you deserve! What is the TSE Hustler’s League? Whether you are new in sales or have been selling for a while and want to improve your sales hustler, TSE Hustler’s League is a specialized coaching program where each semester is 12 weeks long and designed around a theme. January’s semester will be focused on Business Development. We meet once a week for about 45 mins and go over the theme and how to improve your skills. And each week further focuses on a particular topic. What happens in the Hot Seat? We will also put you in the Hot Seat where you get to share your challenge to the whole group, which listens to you live on the call. They take notes and they ask clarifying questions. And most importantly, they give you feedback. They’re sellers coming from other industries but they have similar experiences in their organization and they can give you insights. These are insights coming from different and new perspectives which are very helpful. When and where is the meeting done? The sessions are live and held weekly at noon EST. It’s done over a webinar platform so you can watch it or listen to it wherever you are. And if for some reason you can’t make it that day, you can go ahead and watch the recording that will be posted later that evening. In the membership section, you get to have a username and a unique password to get lifetime access to the semester’s content. Sessions are required but there are exceptions to the rule. Of course, we all know we’ve got to hustle so if you need to take an appointment, go ahead. What we like to see is that people come to each session and implement the goals we give at the end of the sessions and practice these principles. This is where you will see results. When you join the program, you’re given an accountability partner and I personally follow up with these individuals. They’re not necessarily in the same industry as you but they’re someone that can keep you accountable. Goals are set and the end of each meeting where the accountability partner will then follow up with you before next week’s session. The whole point of this is you have someone other than you, myself, or anyone in your organization who can keep you accountable. You can do this via video, phone call, or email. It usually lasts for 5-10 minutes.This is what makes TSE Hustler’s League so powerful because of this accountability aspect. The investment is only $112 per month and over the three months, the total cost is $336. You get all the basics and all the things you need to become a better seller. You can pay upfront or simply pay monthly. We have flexible payment options. This is not a money-making machine because we intended to create this to help all sellers.